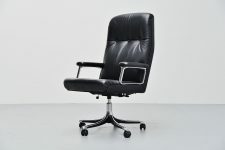 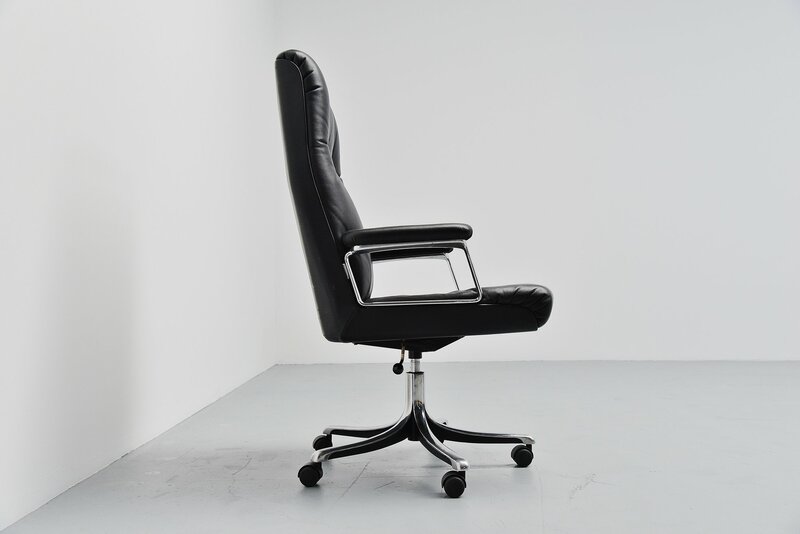 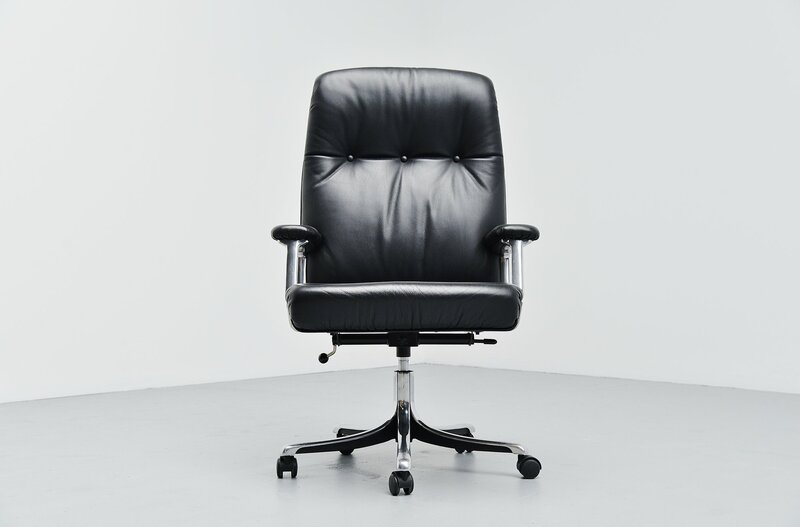 Nice executive office armchair designed by Osvaldo Borsani, manufactured by Tecno, Italy 1966-1976. 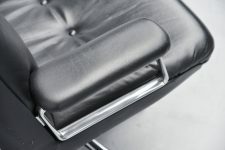 This chair is from the P125 series which were produced in different editions. 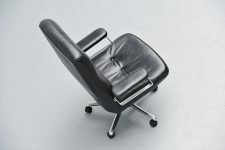 The production was between 1966 and 1976. 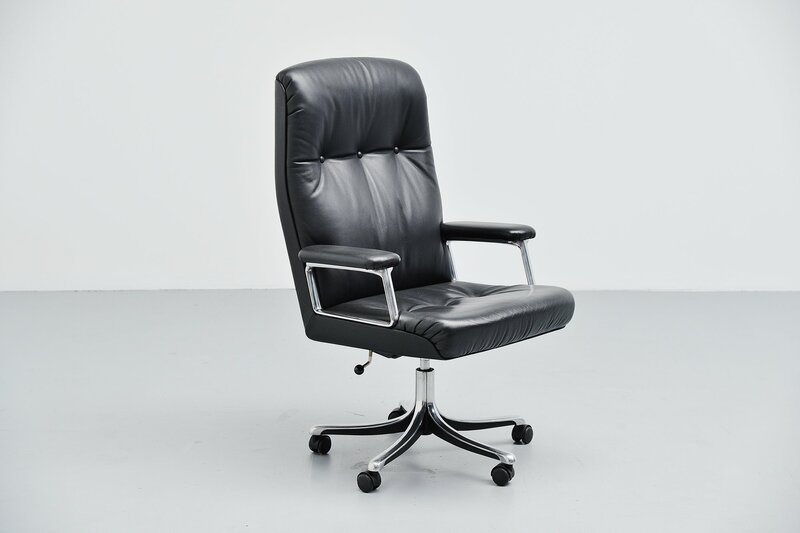 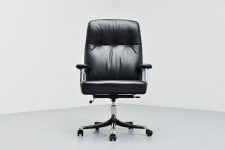 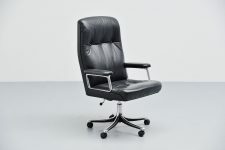 This chair is the model with wheels and the padded button upholstery in black leather. 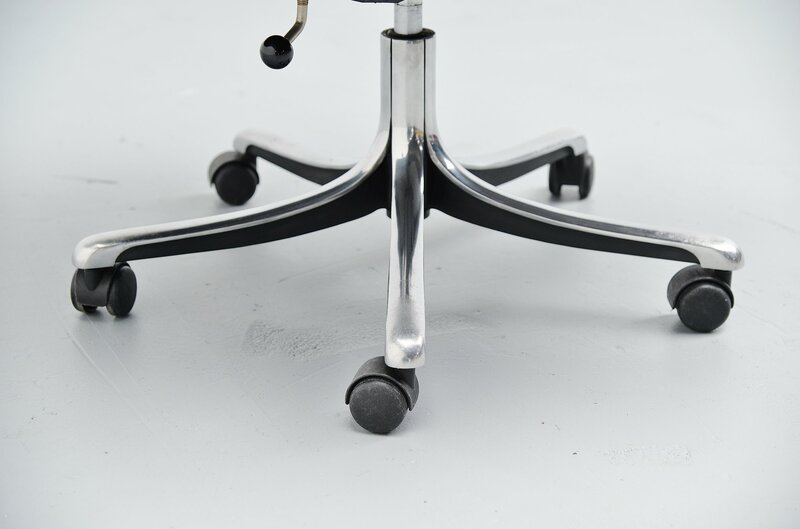 They have a 5 star base with double wheels. 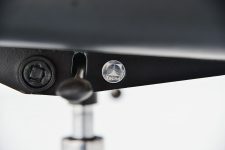 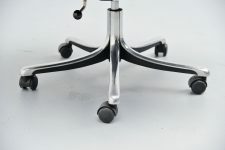 Chair is adjustable in height and swivels 360 degrees. The chair is in good original condition and seats very comfortable. Marked with the Tecno tag on the side.